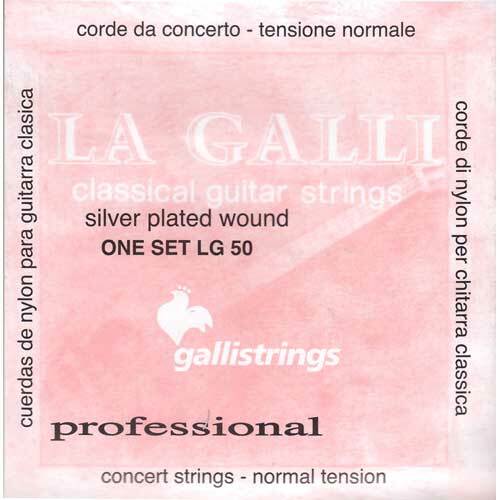 LA GALLI - Mono-filament in clear nylon for the trebles and silver plated copper wound on the multifilament core for the basses. Galli strings are high quality strings, using the finest materials. Made in Italy.